fighters. Ivanov first began experimenting with the adaptation of a No Kurtka(Sambo Jacket) ruleset in 2013, and has since rapidly progressed it into a series of national and international tournaments and qualifiers. In 2014, eager to spread and grow the sport of Combat Wrestling in North America; Yoshiwaza and Ivanov knew just the right person to contact. Through their experience and ties in Sambo, they sought out American Sambo Association (ASA) founder Stephen Koepfer. Known as “Sambo Steve” within the grappling community, Koepfer is well-known as somewhat of an ambassador for Sambo in the United States, assisting for many years in both its development and expansion to a larger following. With Koepfer named the Secretary General for U.S.A. Combat Wrestling(USACW), Combat Wrestling in America now had a strong representative to promote and develop Combat Wrestling in the States. Koepfer along with his team of associates which include USACW President Timothy Kuth, and USACW VP/Treasure Micah Thompson have quickly evolved Combat Wrestling in America in it’s young three years. 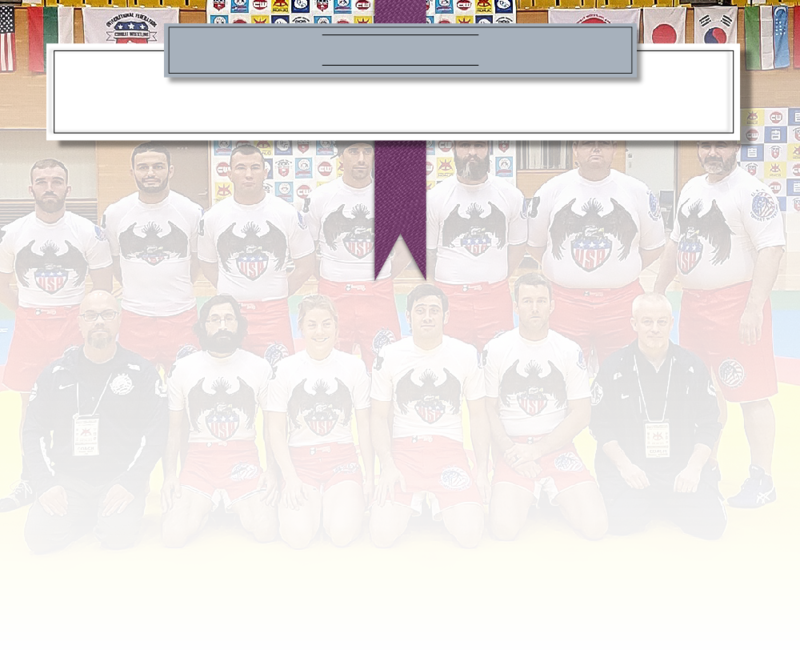 The USACW is a Non-Profit organization with the objective of creating a national governing body under a true International sport model of transparency. With the help of corporate sponsors like Chamber’s Bank and Fast Lane entertainment assisting in the support and development of the USACW from it’s inception; athletes are supported financially for their competitive pursuits and endeavors. In order to compete at the World Championships, athletes must qualify by competing and placing in the annual National Trials. A rarity in the grappling community, the USACW is one of the only governing bodies in grappling to host a national qualifiers, select and fund it’s athletes. from thirteen countries. The second installment of the FICW World Championship was held on October 15th and 16th of 2016 in Tamasi, Hungary. In the second World Championship teams from USA, Japan, Hungary, Canada, Serbia, Romania, Brazil and Bosnia all sent representatives to compete for the title of “World Champion”. The third consecutive FICW World Championship was held in Saitama, Japan on October 21st and 22nd of 2017 with 13 countries represented. 2018 saw the Worlds come to the United States, hosted by the city of St. Louis.